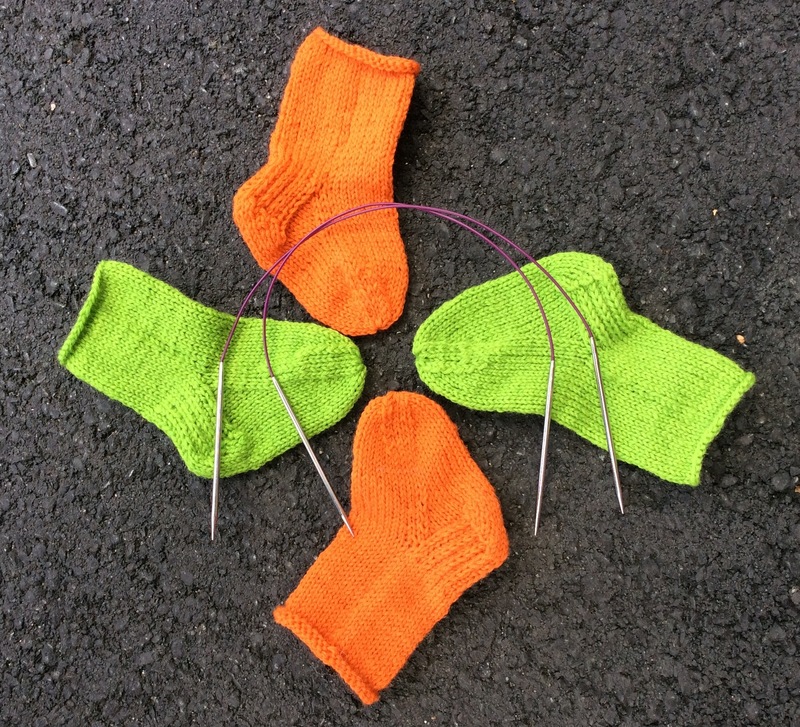 Saturday, September 30th: Two Circular Needle Socks at 10:30 with Jane. Come expand your repertoire. $25 Second class to be arranged individually. Saturday and Sunday, September 30 and October 1st: Vermont Sheep and Wool at Tunbridge. This is always a lovely festival in the autumn. We’ll be carpooling from the shop on Sunday at 9:00, so give us a call or email if you’d like to join us. Friday, October 13th: Yarn Tasting with Cestari Sheep and Wool Company, from Virginia. Come check out these new lines: Mt Vernon, kettle-dyed 100% Fine Merino Wool; Ash Lawn, 75% cotton, 25% wool in beautiful soft colors, and Old Dominion Collection, 100% Virginian cotton. 20% off 5-7 Nibbles and Sips. 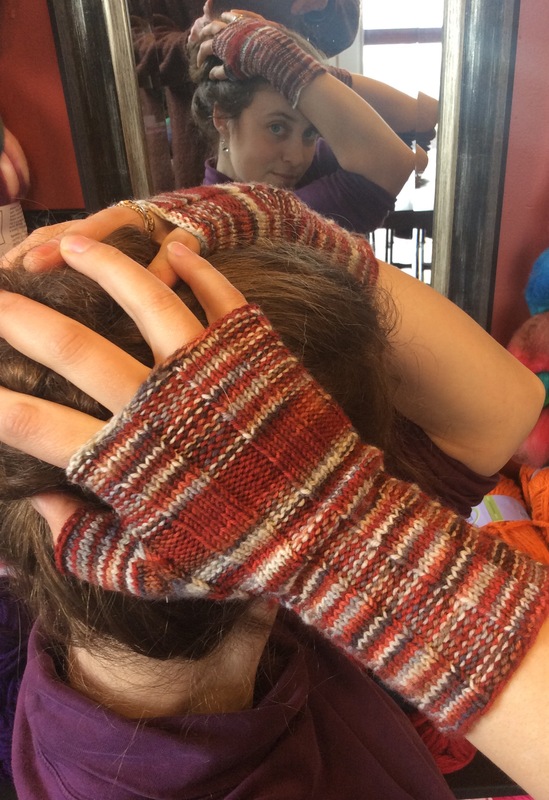 Saturday, October 14th: Fingerless Mitts with Jane at 10:30. Jane will show you magic loop or two circular needle method with making these simple mitts. $15 Another great Christmas gift idea! Sunday, October 15th: 1-3 Knitting Knockers and continuing to finish up our other projects: Welcome Blankets, Toys with Books for CHaD. Busy, busy, knitters and crocheters! Join us! Saturday, October 21st: Beaded Bracelet with Karen. 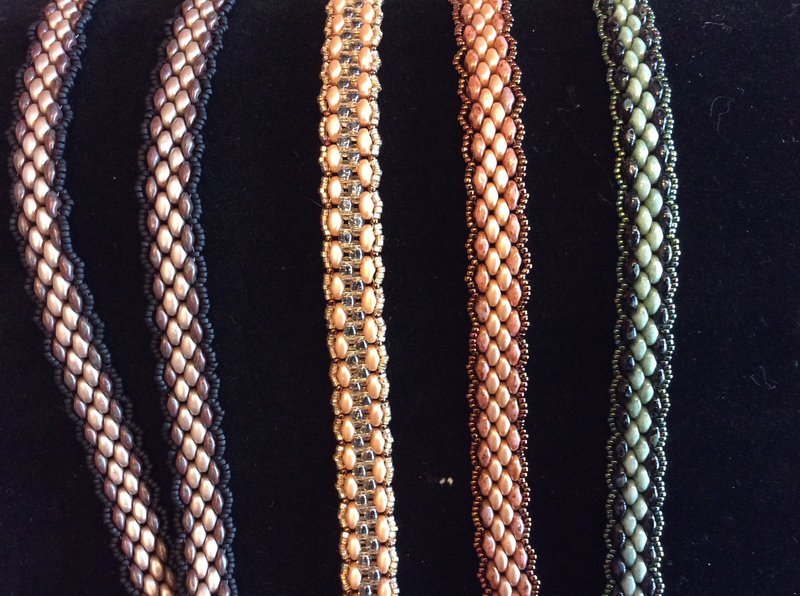 10:30 Make this beautiful bracelet for only $20 which includes supplies. Great Christmas gifts! Saturday Sit and Spin, October 28th: Join our new spinning group on Saturdays at 1:00. Sit and Spin the afternoon away with great company.